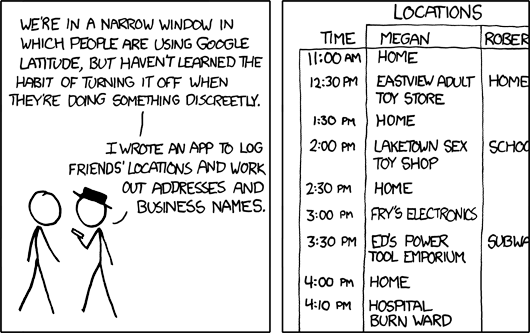 I like todays xkcd… Well, I like the comics in general, but the one posted today I like in particular! I had yesterday off (as it is a holiday here in Denmark), I have today off because I don’t have any classes on Fridays. Tomorrow and the day after are the weekend. So what have I done and what am I going to do with all this spare time? I did a lot of reading yesterday, hope to keep that up today as well and then maybe go see Big Fat Snake in Tivoli tonight. Who knows. The weather is great so I might take my book with me outside. Time will tell.